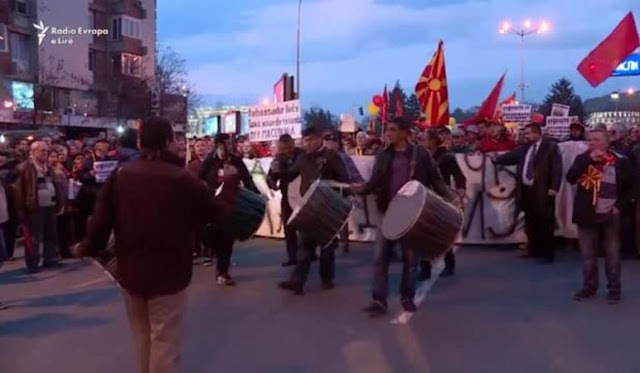 In Macedonia protests against the Albanian language were held for two weeks, under the organization of the civil initiative "For a common Macedonia". Protest organizers say they will spread to the streets to protest in Skopje and other Macedonian cities, until the leader of the Social Democrats, Zoran Zaev, will deny entirely the Albanian platform. They consider that this document was drafted in Tirana and as such violates the unitary character of Macedonia. Meanwhile, Friday Zaev while presenting the government program has urged protesters to return to their homes, because they are untrue the speculation that Macedonian citizens who does not recognise the Albanian language will be punished. But protesters said they were confounded by Zaev, who dared not to express his position against the Albanian platform, so they said they would continue to protest, Radio Free Europe reports.